Rules of Disney Trip Raffle. The company GP LÍMITE ANDAMUR, S.L with registered office in Polígono Industrial Saprelorca, planta 3ª, buzón nº280, C.P: 30817 Lorca (Murcia), with Tax Identification Code (CIF) B-30424762, is organising the “Disney Trip Raffle”. This raffle is intended for all customers using any of the Andamur services (refuelling, showers, restaurant, security car park, etc.) in the Andamur Service Areas ( La Junquera, San Román and Pamplona), giving them the opportunity of participating in the Disney Trip Raffle for 4, half board, by previously filling in a satisfaction survey on tablets placed in the service areas to this end. From 24th December 2018 to 4th January 2019 (12 A.M), customers that have used any of the aforementioned Andamur services and that have filled in the satisfaction survey available on the tablet at the Andamur Service Area (La Junquera, San Román and Pamplona) will have the possibility of participating in the Disney Trip Raffle for 4, half board. The trip should be carried out from 10th January to 31st May 2019. The Raffle Trip to Disney will be done using a programme where the main field will be the participants’ telephone number. Winners will be reached by phone by an Andamur staff member on 5th January 2019 and they will agree on the day for the travel voucher to be delivered. *Grupo Andamur workers will not be able to participate in the raffle. In conformity with the data protection regulation currently in force, all data provided when filling in the survey are mandatory to be able to participate in the raffle, and they will be used by GP LÍMITE ANDAMUR, S.L. (Andamur) as data processing controller to manage the participation of those interested in the raffle, to publish the name of winner on the Andamur website and social media profiles, as well as to send information about Andamur services and offers through the means agreed. Winners will be announced through such platforms. Therefore, the winner is required to sign an informed consent on the transfer and use of their image as an essential condition to receive the prize, this way authorising Andamur to publish photographs and videos of the prize awarding ceremony in the aforementioned means (website and social media). Andamur shall exclusively process data for these purposes and shall not communicate them to a third party, keeping them until the interested party does not declare otherwise or it is legally stipulated to do so. Interested parties may revoke their consent as well as request to access, rectify, delete, limit, transfer and oppose them in the legal terms established by writing to comunicacion@andamur.com, without the consent revocation involving data processing is illegal prior to its withdrawal. 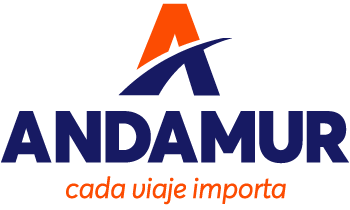 Participation in the raffle means accepting all of these rules, which can be consulted by participants on the website http://www.andamur.com/sorteonavidad. Participants are required to read and know the rules to be able to participate in the raffle. The organising company reserves the right to withdraw in a justified way any participant who violates, alters or fails to correctly use and properly follow the rules of this raffle, as well as the resolution of any issue derived from this promotional activity.